For more than 100 years, Nevada's Churchill County has been operating its own telecommunications system, Churchill Communications. 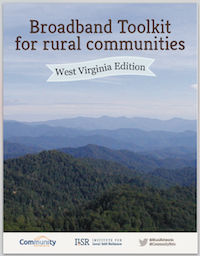 In recent years, they upgraded the vast majority of the county from copper to fiber offering a gigabit connection to the Internet. Churchill Communications General Manager Mark Feest joins us this week for Community Broadband Bits Episode 204. We discuss the fascinating history behind their network and how they have built it without using any local taxpayer dollars. Mark also explains two recent announcements that involve Churchill Communications offering its services in nearby areas where it already has some fiber. Finally, we discuss how some of the people that were originally skeptical of municipal networks have come around and are even asking Churchill Communications to expand. What's Next For Southern Tier Network? With construction of a major community broadband network behind them, local leaders in New York State’s Southern Tier region are now considering the potential for the recently completed dark fiber network. Since becoming operational in 2014, the Southern Tier Network (STN) is already serving over 100 industrial and government service entities across the region. STN is a not-for-profit, local development corporation that built, owns, and manages the network for the region. This backbone fiber that we've got here is a huge benefit for us going forward. As this technology piece continues to be even more important in the future, because it's going to be changing all the time, we will have the base here that allows us to change with the marketplace. Part of our thought process here is we want to keep what we've got in terms of businesses and provide the infrastructure that allows them to stay here and be competitive. When we wrote about the STN in 2011, the planned backbone of the network included a 235-mile fiber-optic ring stretching across Steuben, Schuyler, and Chemung counties. Glass producer Corning paid for $10 million of the initial $12.2 million cost to deploy with the remaining balance paid for by the three counties where the network is located. The STN is now 260 miles total, including strands that run to city centers and select business areas in the tri-county area.